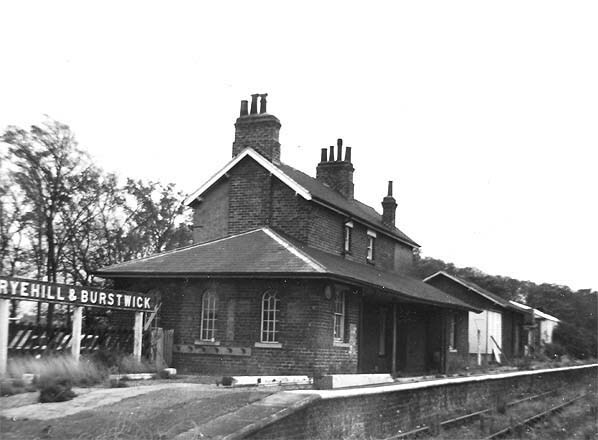 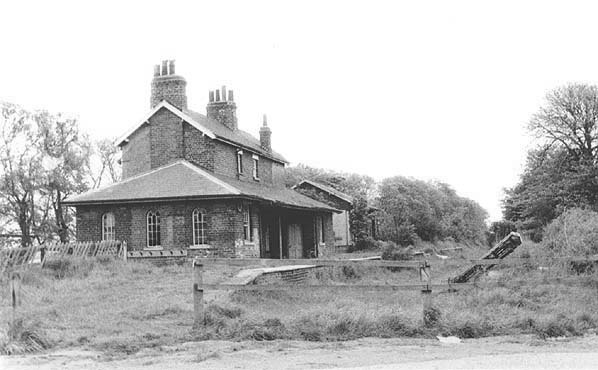 Present state: The station building/stationmaster's house and one platform are still extant as a private residence. 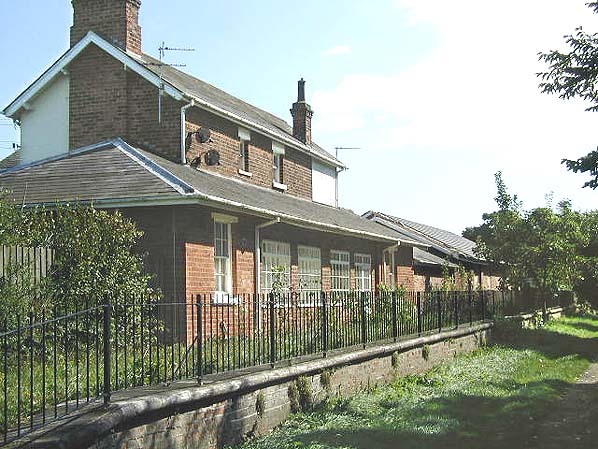 The other platform is heavily overgrown alongside the cycleway. 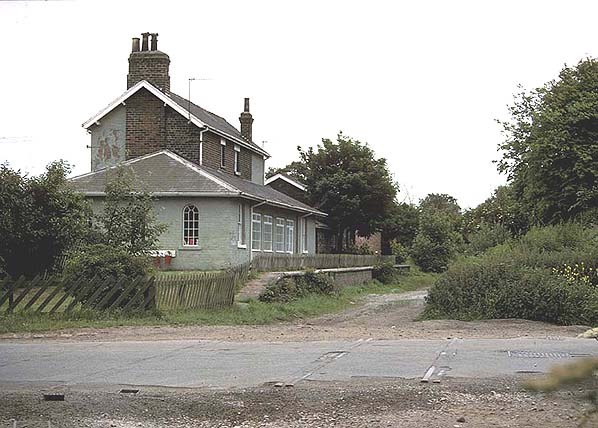 Ryehill & Burstwick Station in June 1988 - note the rail still embedded in the road.